​Thank you for your interest in working with us. As an agency founded by a former nanny and educator, we welcome you. Your skills and experience are greatly needed in this world, and your talents are incredibly valuable! 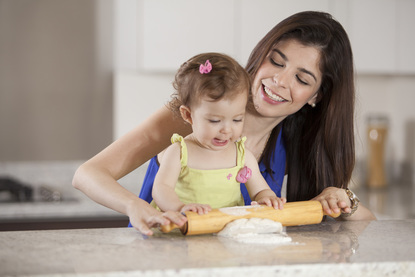 We seek to pair qualified nannies and mannies, newborn care specialists, mother's helpers, governesses, and housekeepers with fair and appreciative employers. We esteem your efforts and affirm what a unique and rewarding career you have. If accepted into our roster of all-stars, we will do our very best to introduce you to families whom we feel will best fit your employment history, techniques, style, and philosophy. ​​Best of all, candidates are never charged a fee by us, nor by your employer. be legally permitted to work in the United States. have at least three years of professional, recent experience working in their field (childcare, housekeeping, or household assistant). be at least 21 years of age (professional experience starting at age 18). have three professional references, two of which must be supervisors of long-term positions in a related field. have a professional field-related resume that may be distributed to potential employers. We are a resource for you in your job search. We are not able to guarantee we will find you a position, but once you have passed our vetting process, we are able to send you out to as many positions for which you are a good fit. Communicate with us as much as you can. We put countless hours into finding the perfect placement for each caregiver and family quickly, so we ask that you help us as much as you can in this goal: respond to emails and phone calls efficiently and with gusto! We want to get you out on interviews as soon as they present themselves. If your desires, flexibility, location, schedule, and needs should change beyond our initial interview, let us know. The more detailed and flexible you can be regarding your ideal position and working environment, the better we can be in locating your "dream job". We are here to help you! ​ Complete discretion is required when being introduced to potential or confirmed employers. By nature, using an agency attracts a high-profile clientele, and therefore requires a deep understanding of professionalism and personal boundaries when working in someone's private home. Working alongside clients who respect your professionalism and willingness to go above and beyond will make your career even more rewarding. ​ Additional education and training only serves to market you better, so continue to develop yourself professionally, and update your resume and profile with us. Feel free to seek us out for additional resources to further your craft! We have over 10 years of current work with families in their homes, and 15 years of experience working with children -- we don't just rely on old research and techniques. We are committed to keeping our education and approaches fresh, too. We welcome you to share any resources with us you may have, and with your permission, we will credit you on our blog. ​ Absolutely inform us of any offers of employment immediately as this is paramount to your success as a caregiver in our agency. We can only work on your behalf if we know the terms of your employment. Working without an agreement or contract will not serve you in the long run and will not make for a happy environment over time. ​ We are here to help you in the position you are currently in, whether we have placed you there or not. We can help you sort through challenges and hiccups you may be facing professionally, all to help you be the most fulfilled in your career. Click to send us your resume!